Over 40 years of industry experience. 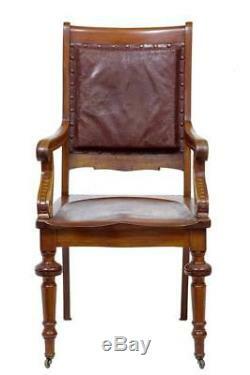 19TH CENTURY ARTS AND CRAFTS MAHOGANY DESK CHAIR. 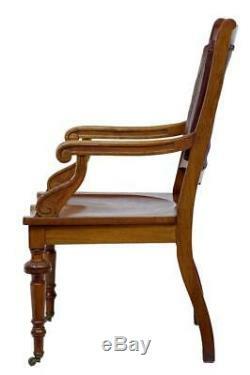 FINE QUALITY ARTS AND CRAFTS DESK CHAIR CIRCA 1890. 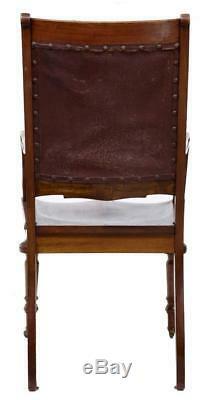 CARVED ARMS, SHAPED DISHED SEAT AND ORIGINAL LEATHER WITH STUD WORK. LEATHER ALTHOUGH TIRED IS PERFECTLY USABLE. HEIGHT: 42 1/2" WIDTH: 21 2/3" DEPTH: 23" SEAT HEIGHT: 17 3/4" SEAT WIDTH: 18" SEAT DEPTH: 21". Excluding Highlands & Islands of Scotland, Northern Ireland, Isle of Man, Isles of Scilly, Jersey & Guernsey. Europe & Rest of UK. Austria, Belgium, Bulgaria, Croatia, Czech Republic, Denmark, Estonia, Finland, France, Germany, Greece, Hungary, Ireland, Italy, Latvia, Lithuania, Luxembourg, Netherlands, Poland, Portugal, Romania, Slovakia, Slovenia, Spain, Sweden. Also Highlands & Islands of Scotland, Northern Ireland, Isle of Man, Isles of Scilly, Jersey & Guernsey. 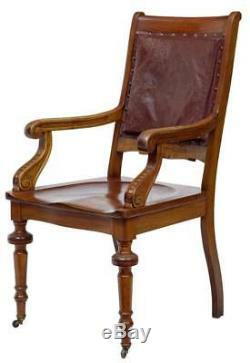 The item "19TH CENTURY ARTS AND CRAFTS MAHOGANY DESK CHAIR" is in sale since Thursday, June 12, 2014. 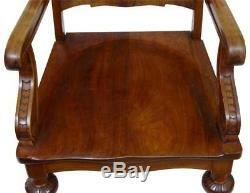 This item is in the category "Antiques\Antique Furniture\Chairs\Victorian (1837-1901)".